Here’s an episode of Orchestra!, the predecessor to Concerto! which we saw a while back. 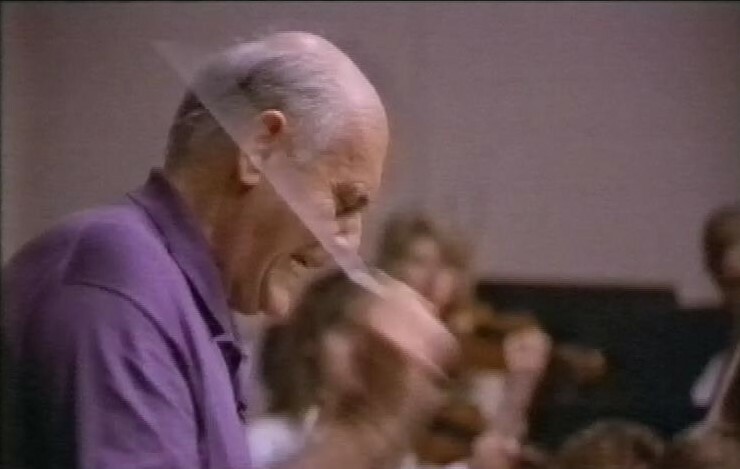 Dudley Moore talks to conductor Georg Solti about the percussion section, and also to members of the young orchestra assembled for the programme from across Europe and the US. Because of the emphasis on percussion, there’s a lot of modern music. 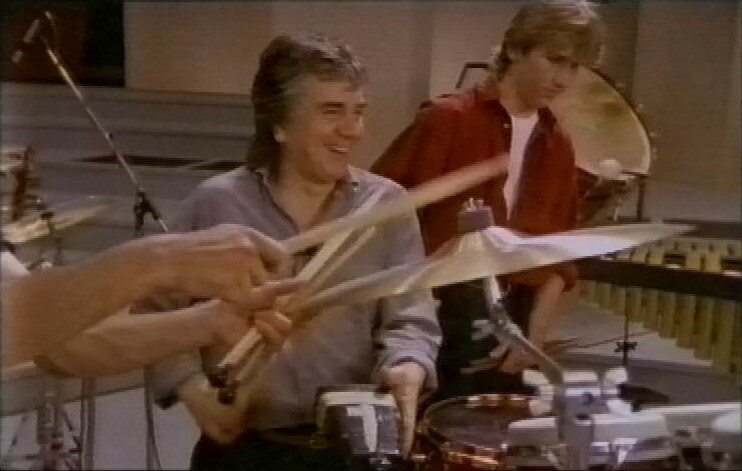 I’m relieved to hear Dudley Moore say how modern music actually made him angry to hear for the first time. I don’t get on with modern music. I’m old fashioned, and grew up with tuneful pop songs (my first pop concert was ABBA for goodness sake) and John Williams film music, along with Tchaikovsky and Rachmaninoff. I like tunes and melody, so modern music is rather impenetrable to me. But it’s always interesting to hear Moore and Solti talk about the different pieces of music they feature, and hear the young percussionists talk about their many and varied instruments. The next episode is much more up my street, as it starts off with an excerpt from Tchaikovsky’s Piano Concerto, as this episode looks at the piano. Not strictly an orchestral instrument, more usually an instrument for soloists accompanied by an orchestra. Some lovely music here, particularly part of Robert Schumann’s Piano Concerto, which I also love. In the next episode, Dudley Moore gets to conduct the orchestra for some Strauss. It’s mostly a discussion on the role of the conductor. And in the final episode, the programme is mostly given over to a performance of Richard Strauss’ Don Juan, a lovely orchestral piece. 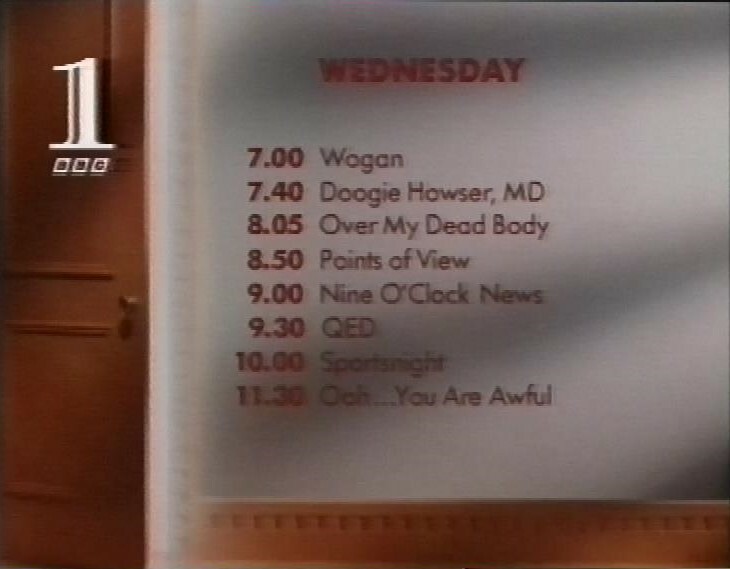 After this episode, over to BBC1 for a trailer for Wednesday Night programmes. 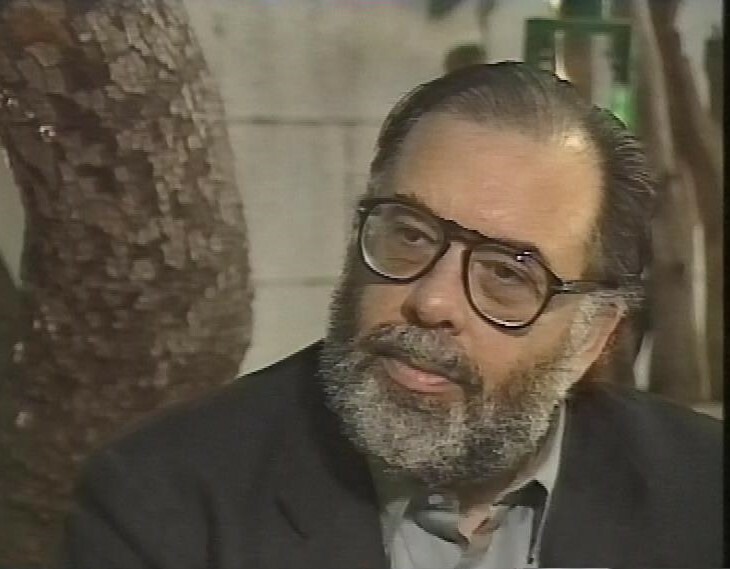 Then, there’s a film 91 special in which Barry Norman talks to Francis Coppola on the release of Godfather Part III. After this, there’s a trailer for The Boys from the Bush. then, Comic Relief presents The Barry Awards, with a series of clips of comic performances from the movies, for which viewers are invited to vote for the forthcoming Comic Relief show. 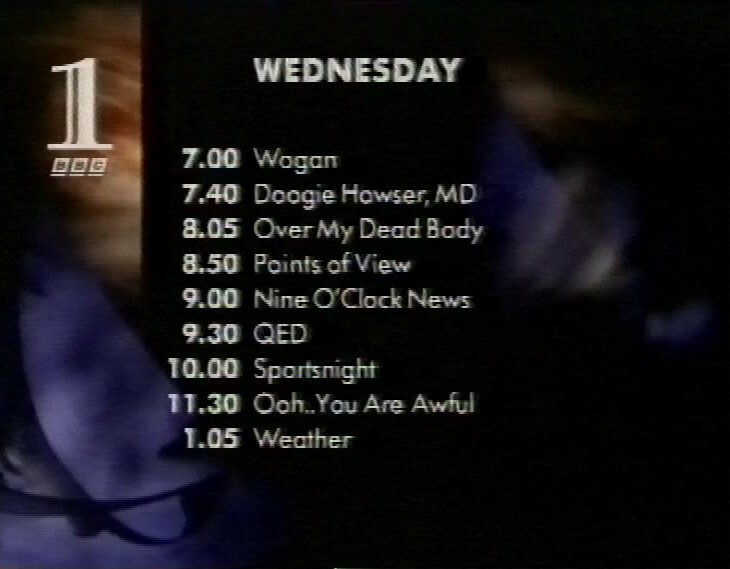 There’s a trailer for Sportsnight. Then another look ahead at Wednesday’s programmes. There’s a look at the weather, Then a typically scary Public Information Film on fire safety.